Fishing has been fair to excellent this past week for Sturgeon, Salmon and Trout. 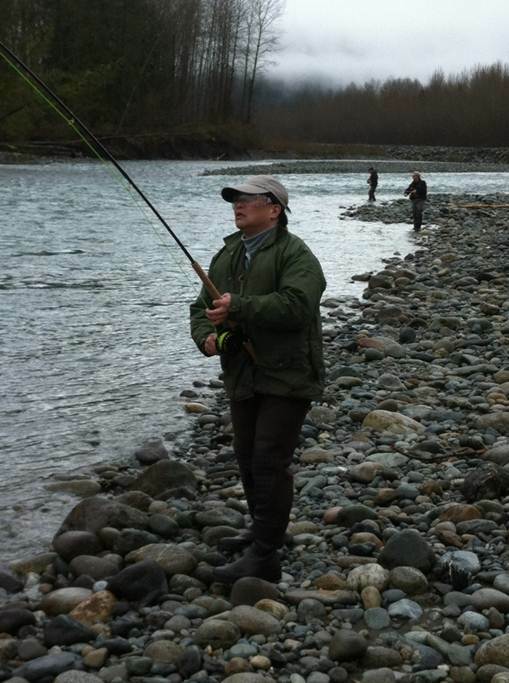 We have been fishing Steelhead on the Vedder, Sturgeon on the Fraser, Salmon in Vancouver and a little fly fishing on the Harrison and tributaries. Overall fishing has been good but super low tides and high winds on the Fraser have made afternoon fishing a bit more challenging. Weather looks to be improving so looks like the next couple weeks should be good. 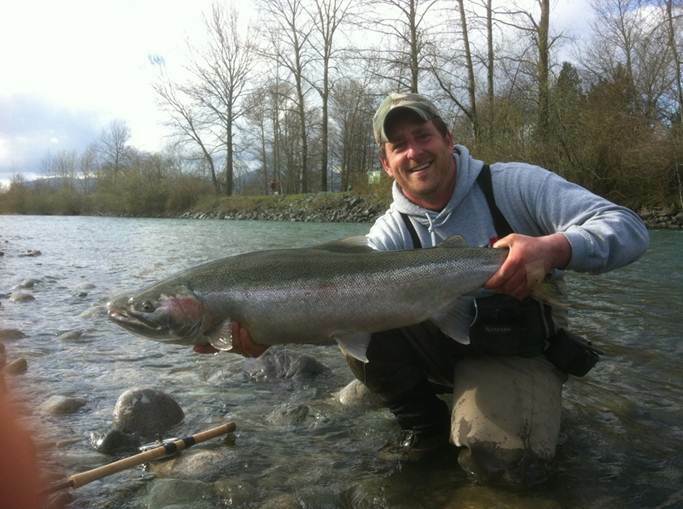 The last two week of April are usually very good for sturgeon, trout and steelhead. Vancouver Salmon fishing has been on and off, last week we had two charters out for 1/2 day fishing, both groups hooked a few fish but nothing to exciting. Crab fishing and prawn fishing has been excellent so everyone is going home with a feast. 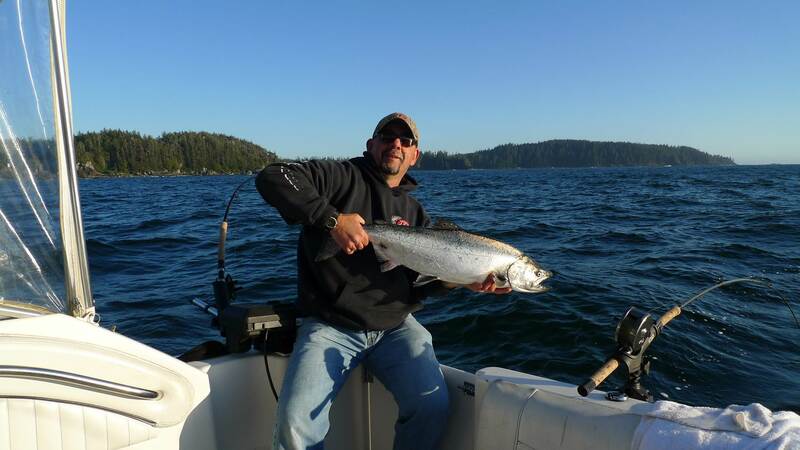 We have a few groups out this weekend so with better tides we should see a few Chinook around. We just sold our 26ft Grady White and are excited for the delivery of our new 28ft custom HCM Ocean Boat. This new boat will be one of the nicest fishing boats on the coast so we really look forward to this summer. Speaking of summer, early Chinook runs are a bit lower than last year but late summer runs are expected to be very good. With millions of salmon returning to the Fraser our strategic location at the entrance will produce some incredible days on the water. We look forward to an excellent July, August and September salmon fishery. This past week has been up and down, if the wind is calm we have been hooking into some nice fish early morning with fishing slowing by afternoon. The tides have been crazy low so with that hard outflow all day doesn’t help. We saw some nice fish in the 3 to 5ft range but nothing over 6 this past week. For the 2012 season STS will be posting the top 10 sturgeon on our leader board located in our office down at Mission Harbour. At the end of the season we will be announcing the top 10 sturgeon with some great prizes to give away. Come join us for the largest sturgeon derby on the Fraser. 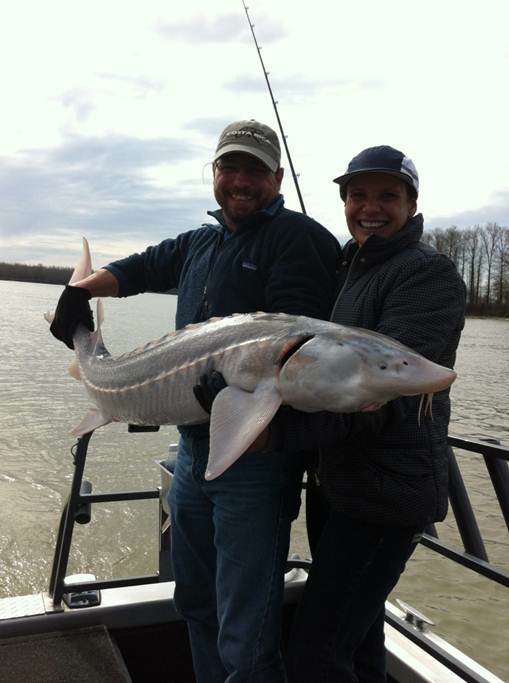 Sturgeon fishing should greatly improve over the next week, last year April 14 to May 31 was crazy fishing in the Mission to Chilliwack area as well as down lower in the Langley region. Best bait this week was Lamprey and Ulichons, those baits should continue to produce some great fish. We look forward to a busy next couple weeks so if you’re looking for a charter, give us a call. Steelhead fishing has been excellent this past week. STS Guides Gerry Dewar and Thomas Rutschmann have been ripping lips on the Vedder all week. Some very large fish coming out this year, lots of 15 to 18 lb fish, some of the biggest fish we have ever seen. Hopefully that same trend will continue for the upcoming salmon season which is usually the case. If you’re looking to get out you have a few more weeks of prime water before the river begins to rise. Get out there and enjoy. The salmon fry are beginning their annual migration to the sea, millions and million of Pink and Chum fry will be heading west down the Harrison and Fraser over the next 3 weeks. This is a great time to get out the fly rod and hit the local streams. Harrison River should really begin to produce some nice fish as well as tributary confluences like the Vedder, Stave, Dewdney and son on. 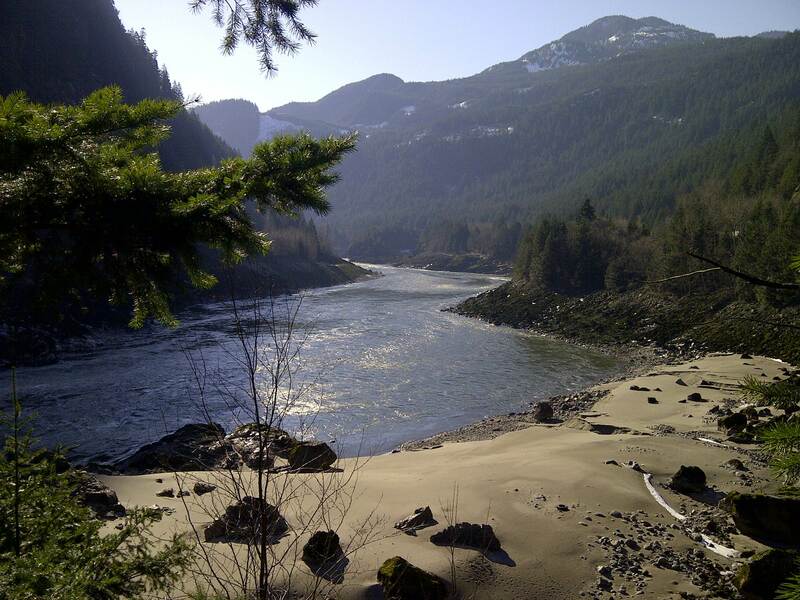 Fraser Canyon Fishing and Jet Boat Tours. I spend the weekend in the canyon which was very nice, couldn’t have asked for nicer weather, felt like summer. Water is still quite low in the canyon but that won’t last for much longer. Already we are seeing some local snow melt, won’t be long before the river begins to rise. Hells Gate Tours will be available right through the summer as long as water conditions are good. Come join us this summer for some great fishing and canyon adventures, July & August are filling up fast but we do still have some great dates for September. Early summer is one of my favorite. Gotta love the sun when it’s out.